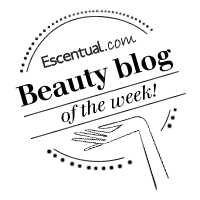 I'm a big fan of online luxury beauty emporium, Escentual.com so I'm absolutely thrilled to be named as their Blog of the Week. Click here to see what they had to say about Skin Deep. I was first introduced to the site by my editor and to celebrate my honour, have shared my current wish list, in no particular order, from Escentual.com below. 2.) Vichy Dermablend- because sometimes you need that extra bit of coverage. 3.) HissyFit- I'm practically religious in my approach to sun protection & am always on the lookout for the hottest new thing. 4.) Serge Lutens- I'm a fragrance fanatic and like to choose scents which are a little outside of the mainstream offering. 5.) Clarisonic- still number one on my lust have list. Congratulations for being the "Blog of the Week." I have to agree with Escentual. I learn a lot of tips from interviews you have done, and of course your reviews of variety of beauty products. More reviews to come. Thanks so much! Really pleased to hear that you're enjoying Skin Deep!